Students will gain knowledge and understanding of the substantive and procedural law sufficient to pass the bar exam and to practice law. Students will learn the principles of legal analysis and reasoning such that they can apply legal principles to novel factual scenarios. Students will demonstrate the ability to employ problem-solving strategies and techniques in order to satisfy clients' needs when practicing law. Students will demonstrate effective written communication as may be required for different contexts in the practice of law. Students will acquire effective legal research skills. 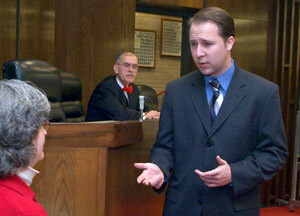 Students will learn effective oral communication skills for a variety of legal contexts. Students will learn their professional and ethical responsibilities to their clients, the legal system, and their community.